We are delighted to showcase an amazing selection of upholstered living room furniture right here in our Random Lake showroom! 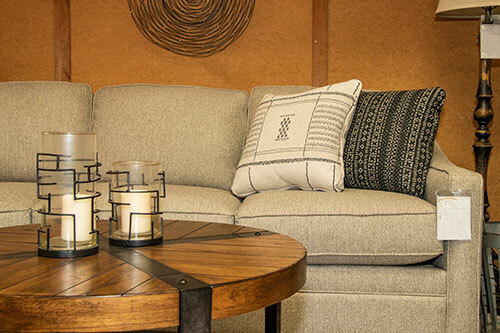 You’ll find coordinating living room sets, sofas, sectional couches, love seats, recliners and chairs in a wide variety of styles, available in hundreds of fabrics and in sumptuous leathers. View the groupings in our showroom to get ideas for a whole new space. Need to replace just one piece? 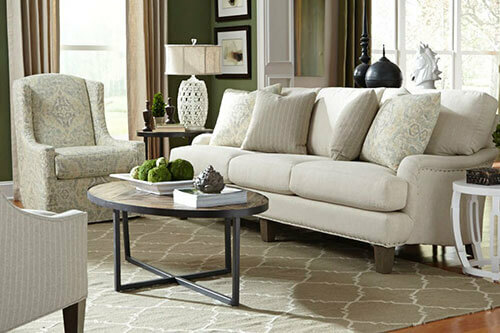 Bring in a swatch or pillow from your existing furniture and we’ll help you coordinate your new furniture to your room. Our Professional Designers are here to help you select the perfect furniture for your home and your personal style. Our first recommendation to all our customers is to get comfortable! 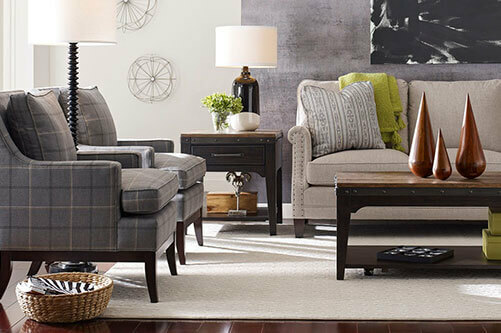 We encourage you to sit down and give the furniture a try as you browse. New furniture is an investment: you want to make sure that once you get it home your piece will make you feel great every time you use it. 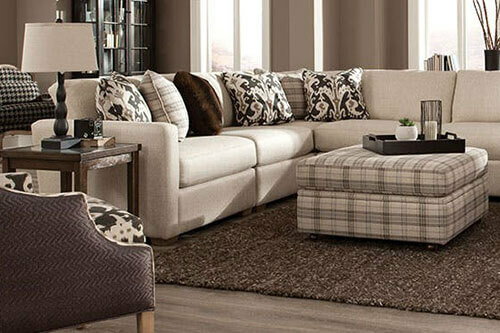 The couch or sectional sofa that feels the most comfortable to you in our showroom may not be the exact style you want. Not to worry! Many of the lines we carry are fully customizable. You can change not only the fabric, but the leg style and finish, back style, arm style, and more! For example, take a look at the Custom Design Options for Craftmaster Furniture. 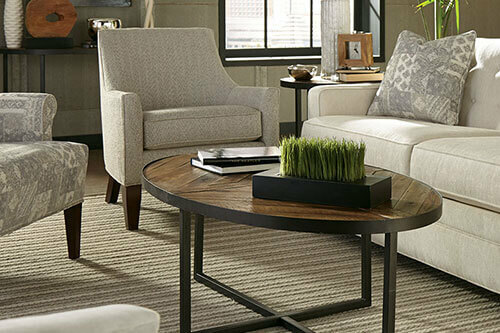 Shop our large selection of entertainment centers, TV consoles, coffee tables, end tables, sofa console tables, desks, bookcases and more to compliment your new upholstered living room furniture. Find the perfect area rugs, decorative pillows, lamps, mirrors and decorative home accents to complete your stylish new living room. Once you’ve found the perfect furniture, you don’t need to worry about how you’re going to get it home. Free delivery and set-up of your new furniture is part of our service to you! Free Furniture Delivery and Setup is Part of Our Service to You! Our selection and service are well worth a short drive! Notify me about Sales & Specials! 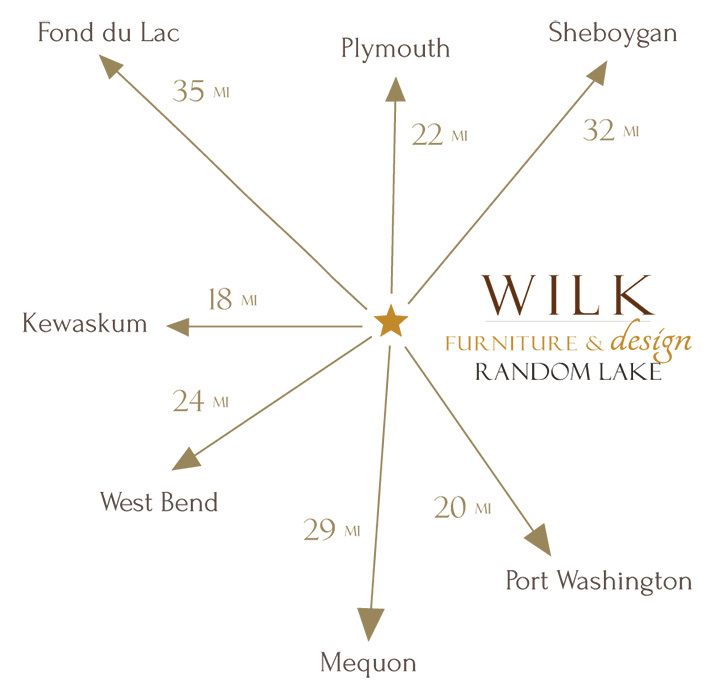 ©Copyright 2016-2019 Wilk Furniture & Design LLC. All rights reserved.